One treatment of EDT with each fill up will keep your diesel powering down the road. 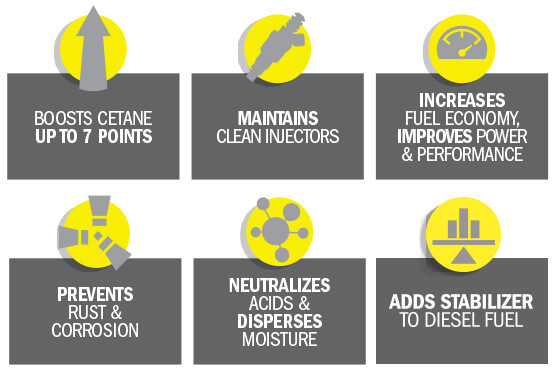 This concentrated cetane improver upgrades power and performance in all diesel equipment, increasing fuel and maintenance economy. The stability of fuels will be greatly increased and diesel engines will be kept in a cleaner, more maintenance-free condition. EDT is recommended for ALL DIESEL ENGINES because it is completely ashless and has no adverse effects on engine components. This diesel fuel additive complies with the federal low sulfur content requirements for use in diesel motor vehicles and non-road engines. 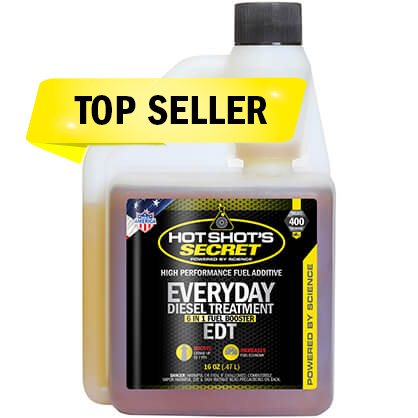 EDT is designed to be a daily or every fill-up fuel treatment. It is like brushing your teeth every day. But twice a year, you go to a dentist office for a deep cleaning and plaque removal with Hot Shot’s Secret Diesel Extreme.